As a new movie directed by Oliver Stone and starring Joseph Gordon-Levitt is premiered, it is perhaps not a huge surprise that Edward Snowden is getting vocal again. But the latest target for his criticism is a brave one given his current personal circumstances. For as well as asking Barack Obama for a Presidential pardon and doing various media interviews to promote the movie, he has taken the time to put the boot into Russia’s online surveillance programme. An ardent Twitter user, Snowden has taken to the social media forum to argue against Russia’s online monitoring programmes in the past. But this time, in an in-depth interview with the Financial Times (£), he said that the current Russian programme had gone too far and said that it was now monitoring “in ways that are completely unnecessary, costly and corrosive to individual and collective rights”. It is a brave stance for the fugitive NSA whistleblower to take as it is Russia who is currently providing him sanctuary from arrest warrants in the USA. Should they decide he is no longer welcome, there are precious few other countries he could go to that wouldn’t immediately extradite him back to the USA and a life behind bars. Snowden notes himself in the interview that he can’t solve Russia’s human rights issues and indeed said his focus was to “fix” his own country first. He also admitted that many of those closest to him have told him to stop provoking the Russian authorities with such comments. 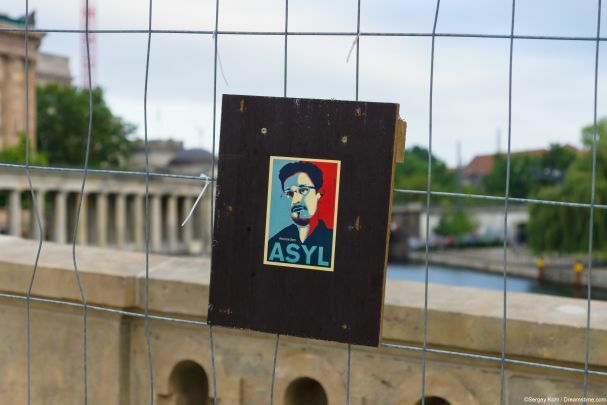 But Snowden is nothing if not an idealist and his criticism of state surveillance in Russia is no surprise when you think about the sacrifices he made to uncover US Government surveillance of their own citizens. Snowden’s criticism hasn’t stopped with Russia of course. He has also said of the UK that there is an “authoritarian trend” and also claimed France had “gone too far.” With more and more countries passing laws to further empower their state intelligence agencies to monitor online activity and collect data in bulk, we can no doubt look forward to more soundbites in the future too. But of course, the fact remains that Edward Snowden has been the pivotal individual in exposing the extent of online surveillance which is carried out right across the world. It is he who has made the people of the US and the UK aware of their government’s intrusions into their private affairs. And it is he who has sparked a wave of people beginning to take their online security and privacy seriously. After his revelations back in 2013, countless people took steps to protect themselves online through things like VPNs. Today the public debate which is still raging between the issues of privacy and security all stem back to one man; Edward Snowden. It should come as no surprise that this man is willing to be critical of Russia, regardless of the personal impact it might have on him. But whilst Russia clearly has scant regard for the principals of online freedom Snowden holds so dear, they are also well aware of how annoyed the US are that they can’t drag him through court. He is a nice joker in Putin’s political pack of cards, and he is willing to put up with some criticism to keep hold of that. But he is as likely to pay heed to the privacy arguments Snowden continues to put forward as the US were in 2013.